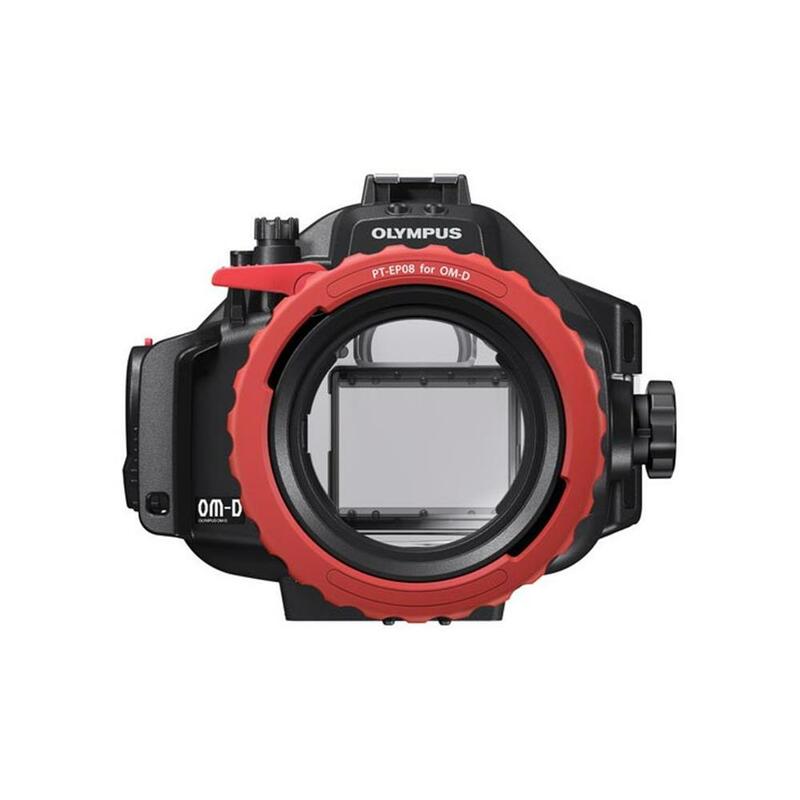 Specially engineered for the Olympus E-M5, the PT-EP08 underwater case is waterproof up to a water pressure equivalent to a depth of 45 metres. With its durable, high quality polycarbonate construction, it protects the camera from water while also cushioning it from knocks and bumps on land. The first Micro Four Thirds underwater housing with an interchangeable lens port PPO-EP01 which is separately available allows the optional use of different Micro Four Thirds lenses. By using the port adapter PAD-EP08 and appropriate E-System lens port it is even possible to use different lenses of the Four Thirds System. With the PT-EP08 you can also enjoy the use of the viewfinder or the OLED screen for perfect operation, whatever shooting conditions you are facing underwater. The flash connectors enable optional use of up to two UFL-2 underwater flash units. In addition you can turn your E-M5 into an underwater macro camera. The macro lens adapter (PMLA-EP01) enables the attachment of the macro conversion lens (PTMC-01) for outstanding underwater macro images.